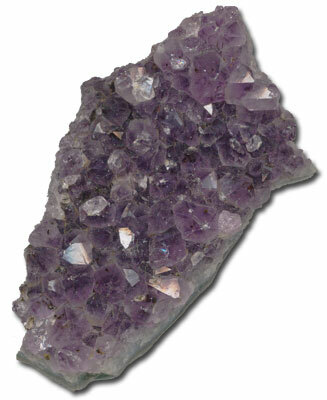 Amethyst was another mineral that enjoyed some popularity here in Wickenburg. In fact, there's still plenty of Amethyst in Arizona, Wickenburg included. It is known for its light purple color, and the crystals often have very unique imperfections. These specimens are approximately six square inches in size, and weigh about one pound. Because they are left in their natural state, your specimen might have quartz inclusions and its purple coloration can run anywhere from a dark, regal purple all the way up to almost pink.